A few weeks ago we bought a book called called Prime Time Together With Kids by Donna Erickson at the Nearly New Sale. The book is filled with creative ideas for stuff to do with young kids and while looking through I saw an activity called "Shine Copper" that seemed like something the Bee would like. During the Beans nap time (this is probably an activity best for the 3 and over crowd, or anyone you are worried about choking on little pieces), the Bee and I went around our house and collected a bunch of old pennies. I then got salt and vinegar out of the pantry along with two bowls. 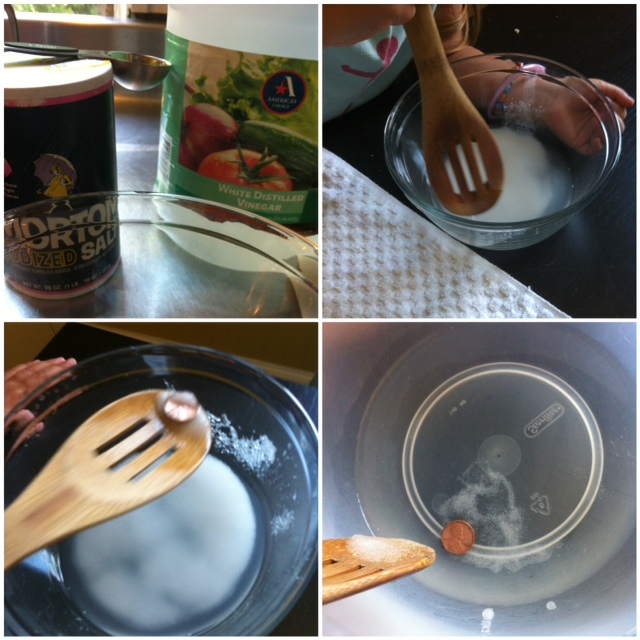 We measured 5 tablespoons of salt and 1/2 cup of vinegar into one bowl and then filled the other bowl with a little warm water. We also got a few spoons and a little towel. After checking out the pennies a little, the Bee put the first penny into the vinegar/salt mixture and stirred it around a bit. 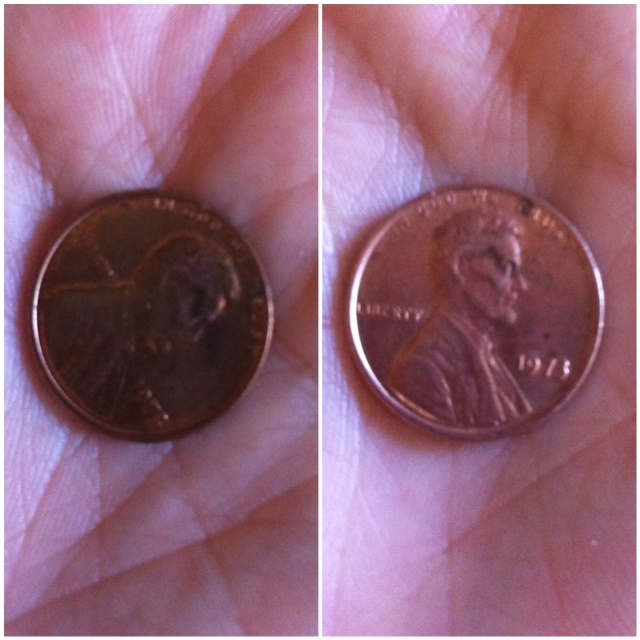 We were both amazed when almost instantly the tarnished and dirty penny changed to shiny and clean. she then fished out the penny and gave it a quick rinse in water, just to get the salt off, before drying it on the towel. She then went through and cleaned the rest of the pennies, even going off to find a few more to clean. 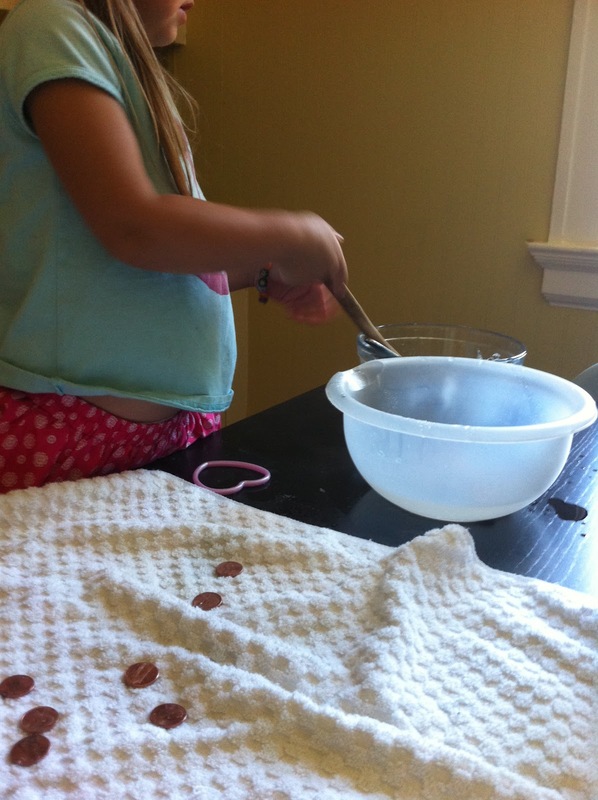 While I was amazed at how quickly the solution changed the penny, I actually think her favorite part was the process of scooping the pennies with the spoon. Thanks so much Jamie!!! I can't wait to check it out! !